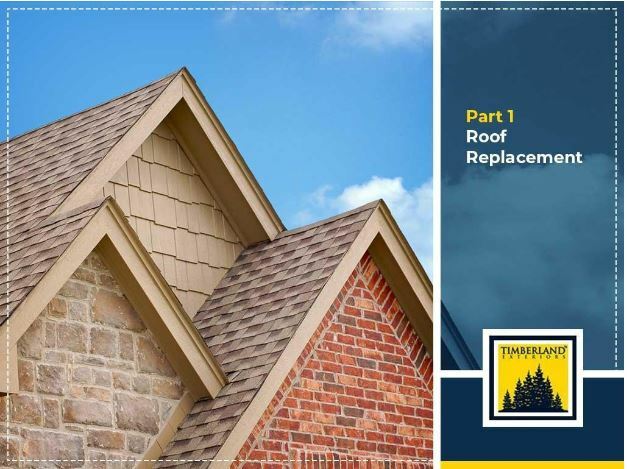 Before getting started on your roof replacement, you should consider a few essentials. First off, do you actually need a new system? Get a pair of binoculars and check the condition of your existing roof. Look for cracked, buckling or curled shingles–this could mean the material is already past its life expectancy. A roof with damaged flashing and large patches of missing shingles is also troublesome. Besides checking your exterior, you should check inside your home, as well. If you have serious, recurring leaks every time it rains, you might already need roof replacement work from a trusted home remodeling contractor. Second, make sure to choose your roofing material carefully. It should complement your home’s architectural style and exterior color palette. Some materials, for instance, work better with a specific home style. Metal is a staple in modern and contemporary homes, while clay tile is perfect for Spanish-Mission homes. Wood shakes and shingles, on the other hand, are best with Cape Cod, cottage and cabin homes. For those looking for a safe, classic choice, asphalt shingles are the way to go. Aside from aesthetic appeal, you should also take into account your area’s weather patterns and environment when choosing your roofing material. Metal is a good option for regions with hot and humid climes. For those living in dry and arid areas, tile roofing is perfect. Asphalt shingles, meanwhile, can hold up well in any type of climate. Increased Weather Protection. A newer, better-performing roof can effectively resist the harshest weather conditions, whether it’s heavy rainfall, high wind speeds, snow loads or extreme sunlight. Better Safety. An old and failing roof, when overlooked, can lead to structural issues in your home. It may even cause parts of the home to become unstable. You no longer have to worry about this with a newer, sturdier roof. Enhanced Curb Appeal. A new roof allows many opportunities for customization. Given the wide array of materials, colors, textures and designs available today, you can easily maintain your home’s architectural accuracy. Improved Comfort and Energy Efficiency. Because a new roofing system has better insulation and ventilation, it allows for a thermally comfortable home, minus the high energy costs. Healthier Living Spaces. Old roofing systems encourage mold formation and its accompanying health risks, but this won’t be an issue with a new roof. Great Return on Investment (ROI). According to Remodeling’s Cost vs Value report for 2018, a roof replacement allows you to recoup up to 68.4% of costs. Maximize your home’s weather protection, comfort and visual appeal with a roof replacement. Just make sure to keep the above mentioned factors in mind. Stay tuned for the second installment of our three-part blog series, where we’ll go into detail about siding installation and how you can ensure this upgrade gets done without a hitch.